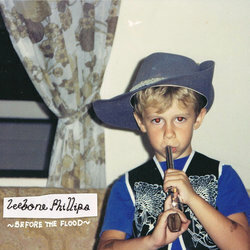 Liam (Leebone Phillips) Eaton is a Brisbane based musician/songwriter who's sound is reminiscent of old time country-folk songsters such as Michael Hurley baked up with the special ingredients of lo-fi pop. Leebone has been busy in the Brisbane music scene since 2009 co-writing and drumming for former projects such as THE HONEY MONTH. After joining the SILENT FEATURE ensemble in 2013, he has continued to develop his songwriting craft, from collaborating with fellow band mates and old heroes. Before the Flood is a lo-fi autobiographical confession of a serial over-thinker.